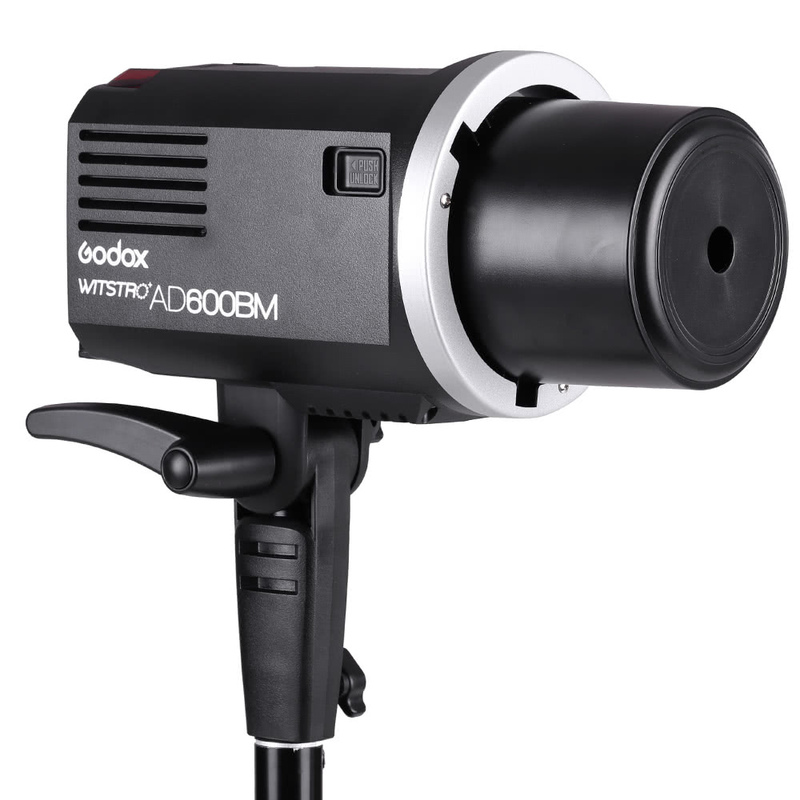 The Godox AD600BM is really a professional strobe for outdoor use. 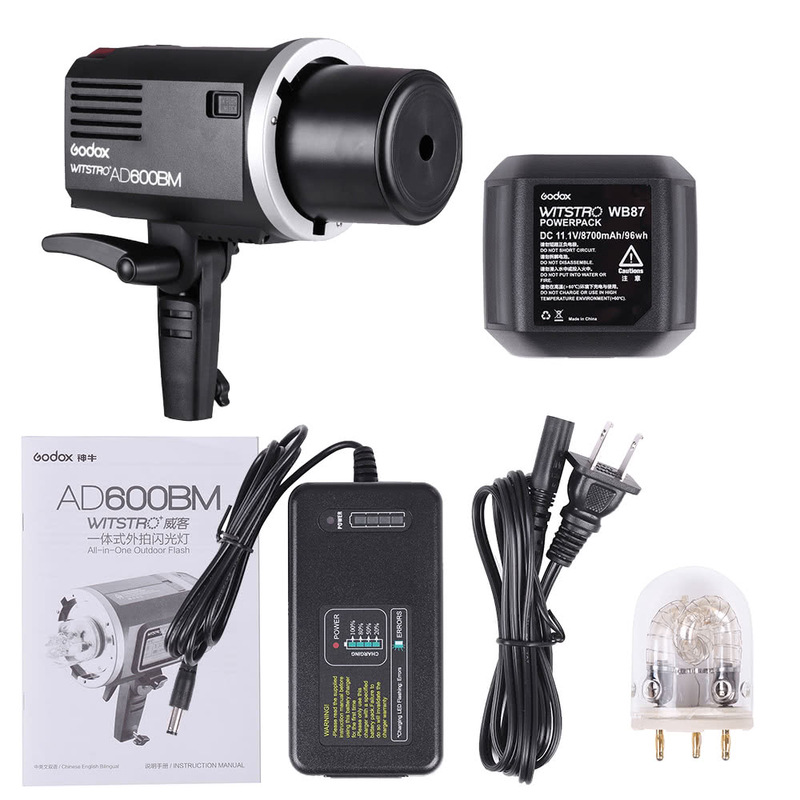 600W super high power, GN87 high guide number, super fast recycle time, 1/8000s high speed sync, multi mode, this flash can help you take lots of amazing pictures. 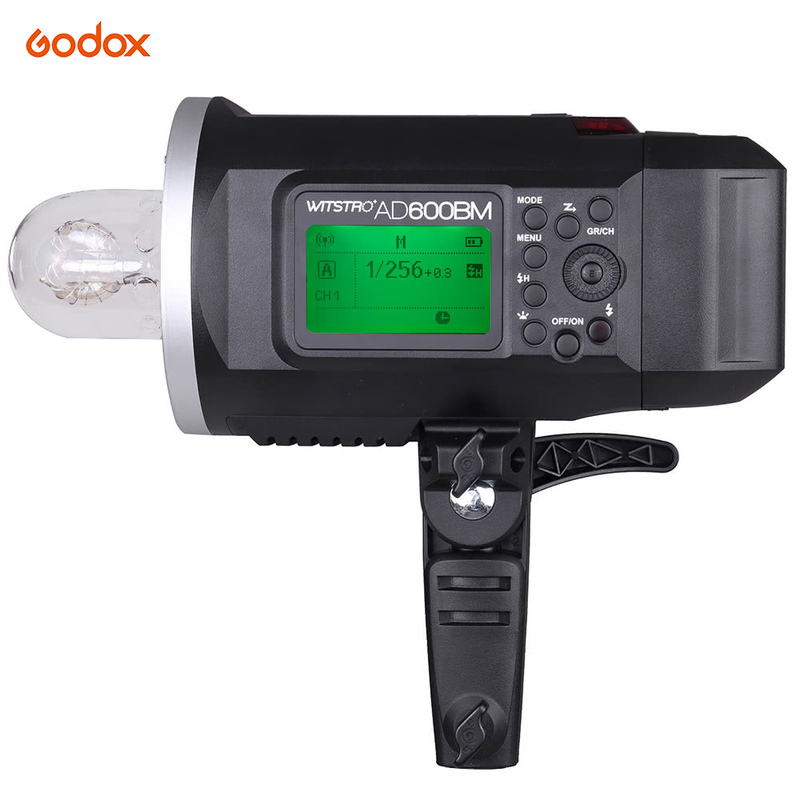 When using Godox 2.4G wireless X system off camera, AD600BM can be triggered by X1 series flash trigger in M/Multi mode. 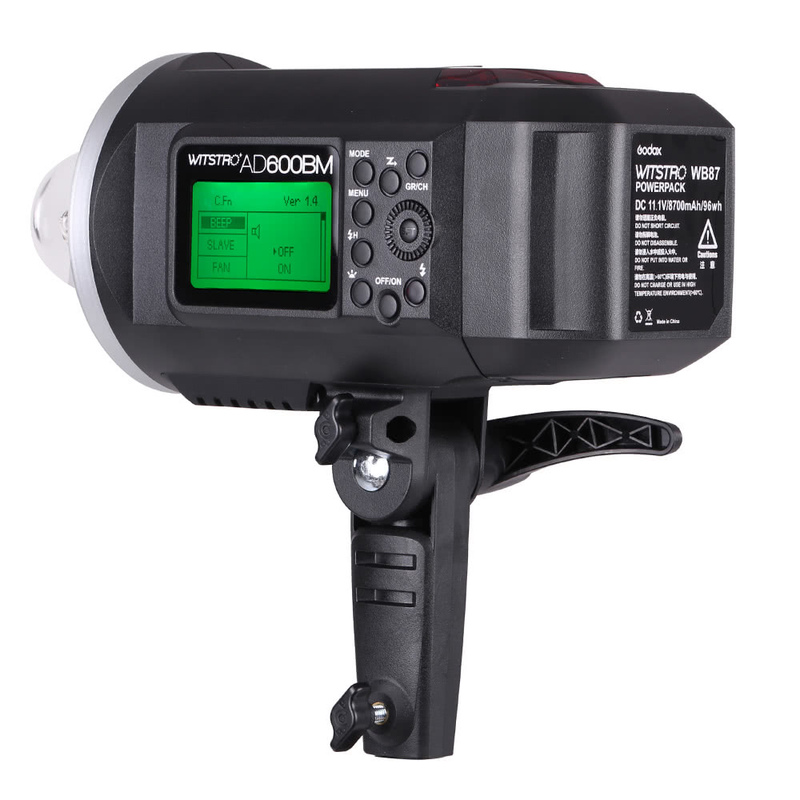 600WS strong power flash, 500 times full power output, 9 steps power adjustment(1/256 to 1/1). 0.01s-2.5s recycle time, high guide number of GN87. 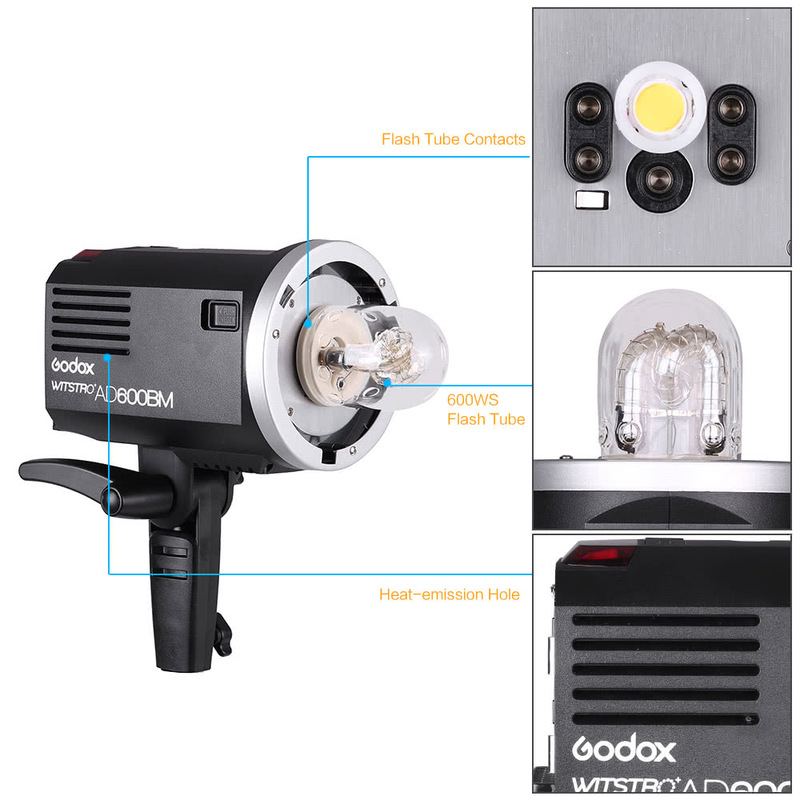 Built-in Godox 2.4G wireless X system to achieve wireless control, support M/Multi function of Canon, Nikon, Sony etc, workable as slave unit in a wireless flash group. 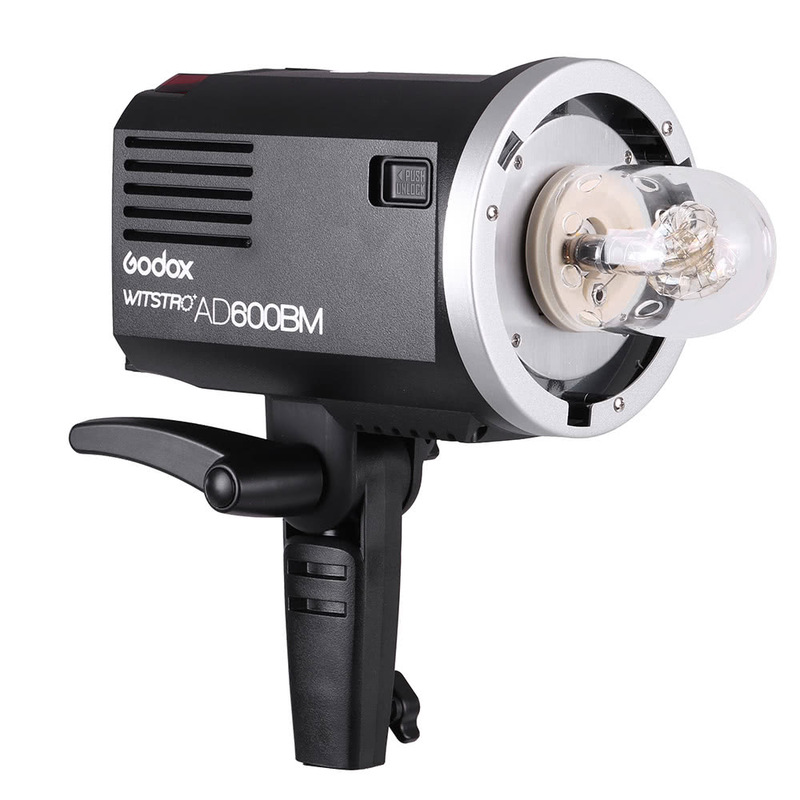 Compatible with other Godox camera flash, outdoor flash and studio flash, such as AD360II,TT685,X1T,TT600 etc. 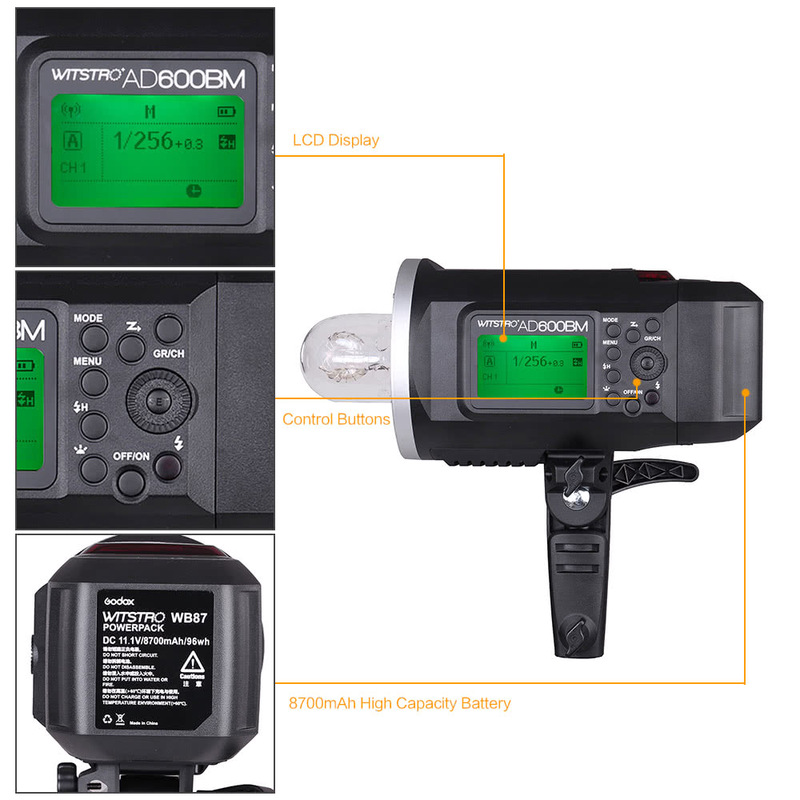 Fully support high-speed sync (up to 1/8000 seconds), first-curtain sync, and second-curtain sync. 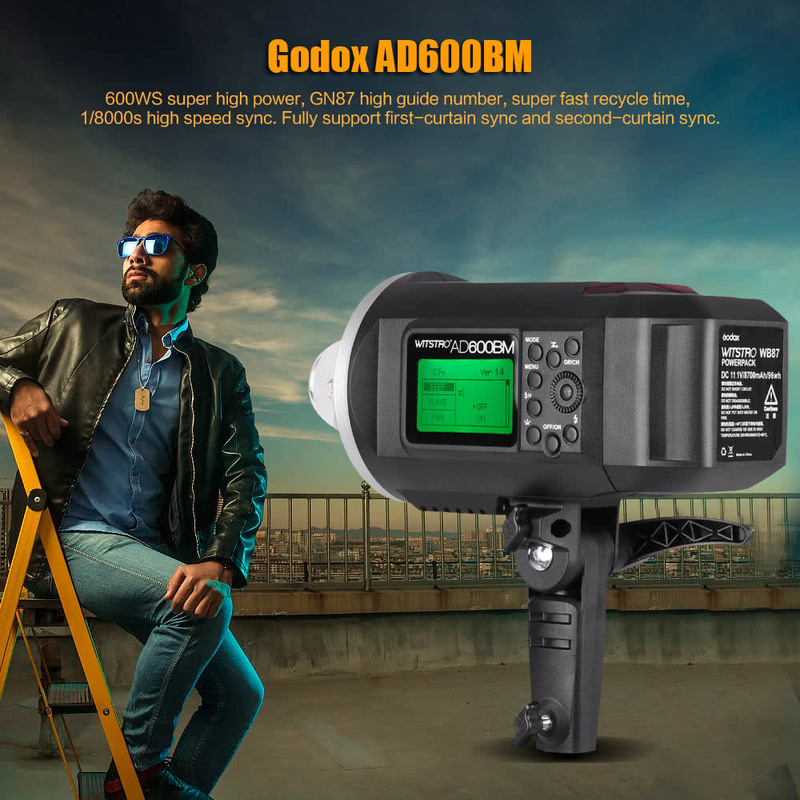 Support 5 groups and 32 channels, support 80m wireless control. 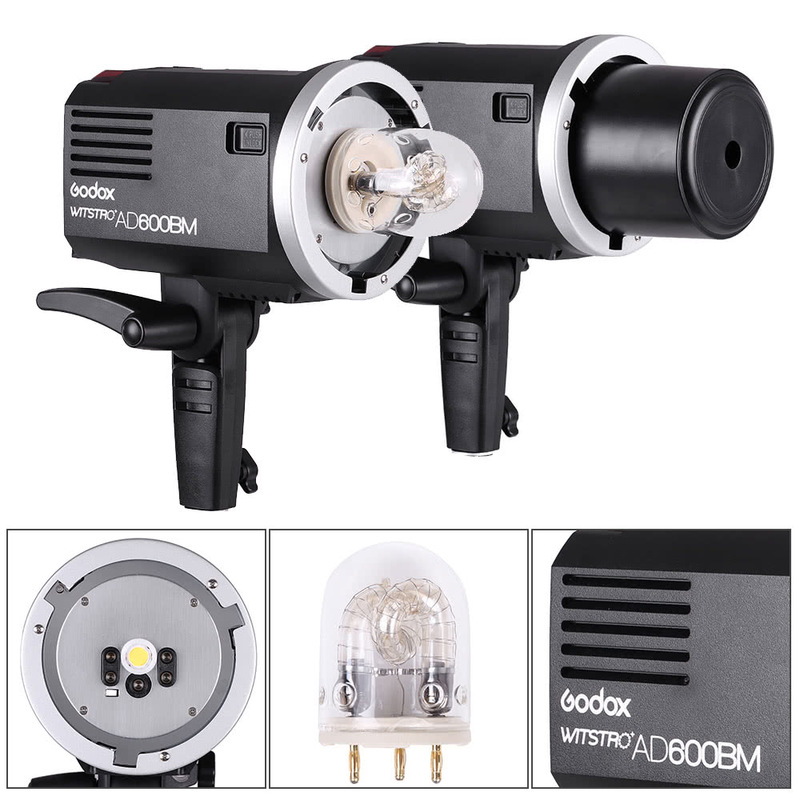 10W LED modeling lamp, 3 modes light brightness. 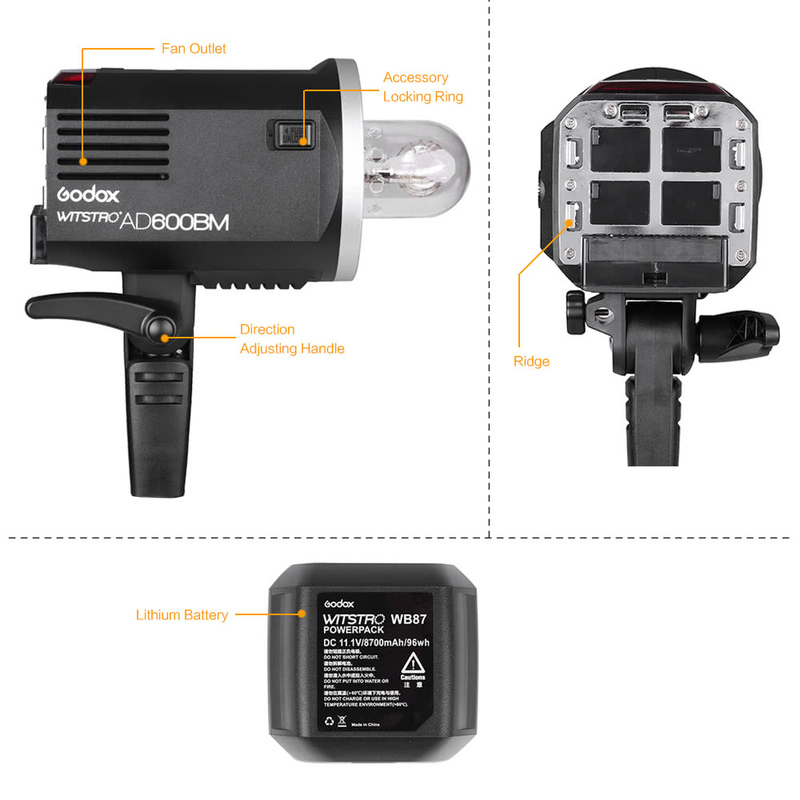 8700mAh high capacity external battery, convenient for outdoor use. 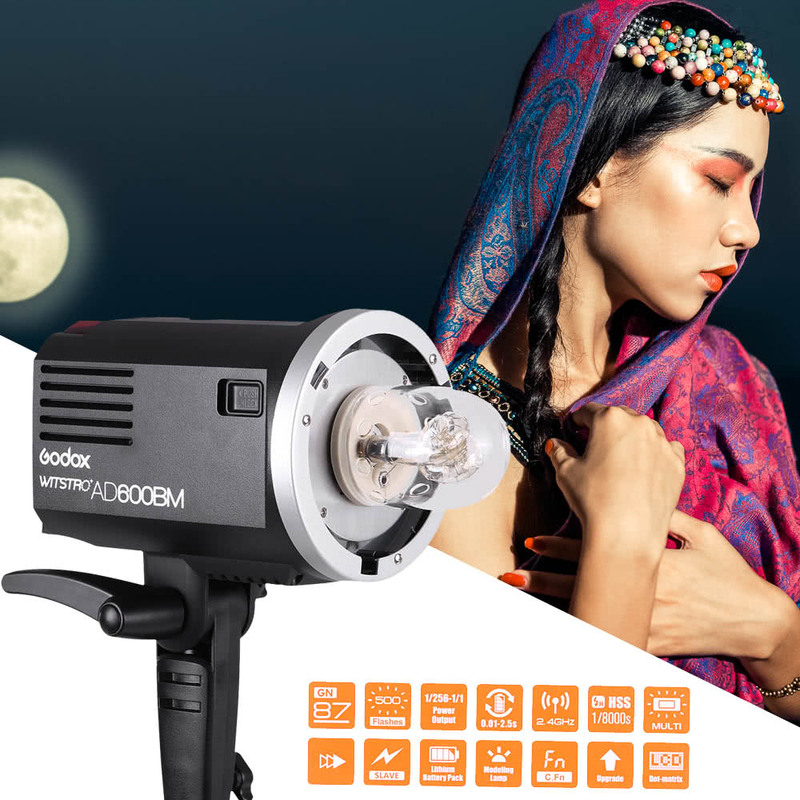 Standard bowens mount, support various accessories. 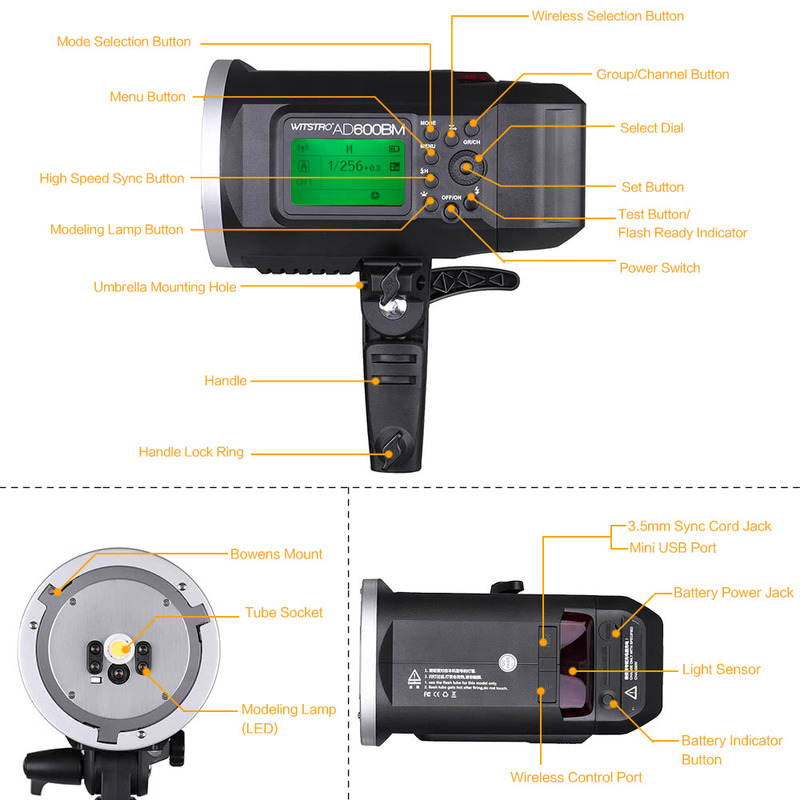 The X1 series trigger is not included.